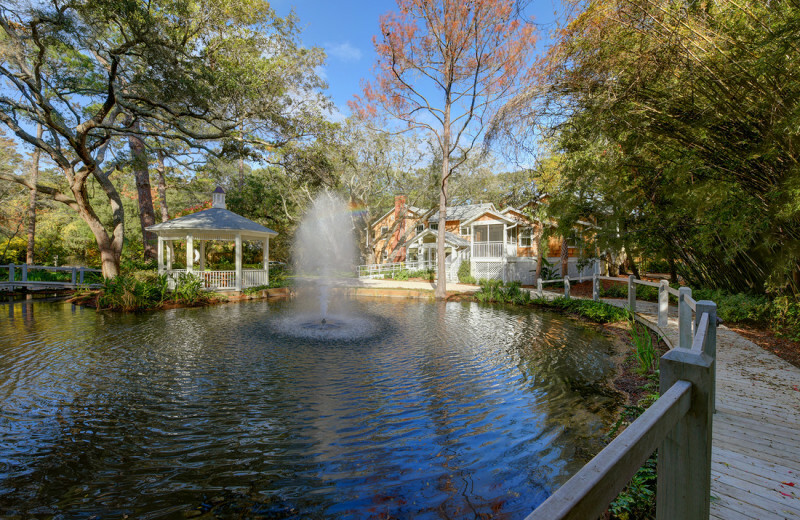 Poised amidst centuries old oaks and a magnificent water garden, The Grey Owl Inn offers a sublime setting from which to enjoy the best that scenic St. Simons Island has to offer. 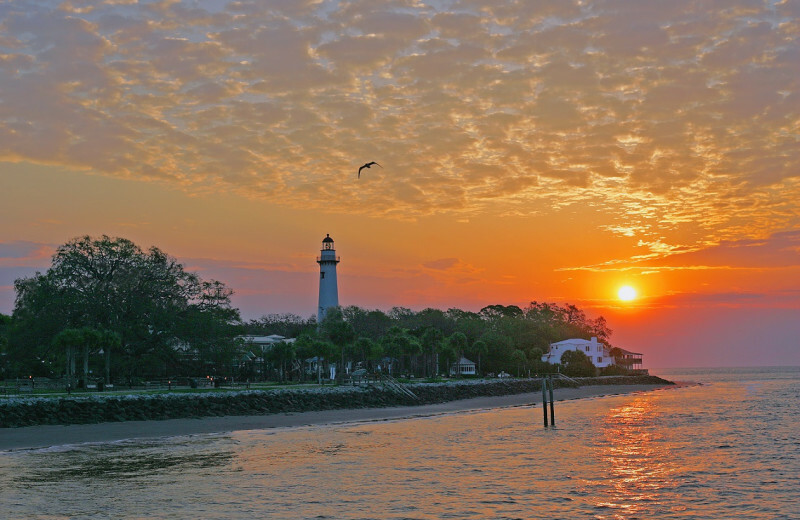 Centrally located along the 100 miles of Georgia coastline and easily accessible from anywhere in the Southeast, St. Simons Island has been a favorite island getaway for generations of visitors seeking a rewarding island experience. 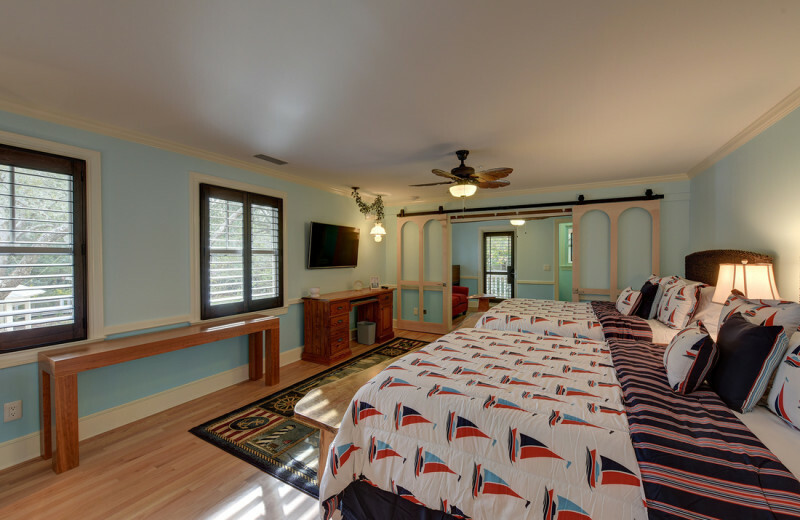 Situated in one of the island’s oldest residential neighborhoods, The Grey Owl Inn is an easy walk or bike ride to the beach and the island’s quaint Pier Village and historic Lighthouse. 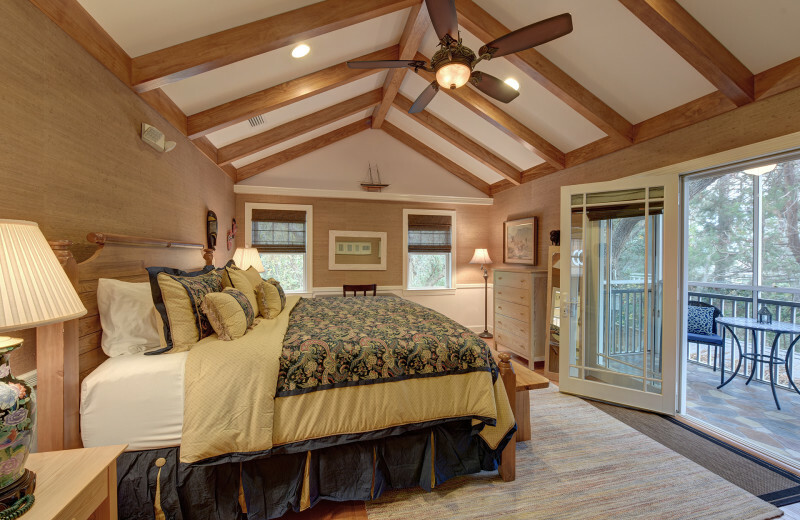 The Inn offers 5 uniquely distinctive bedroom suites each with private bath and many luxury in-room amenities. 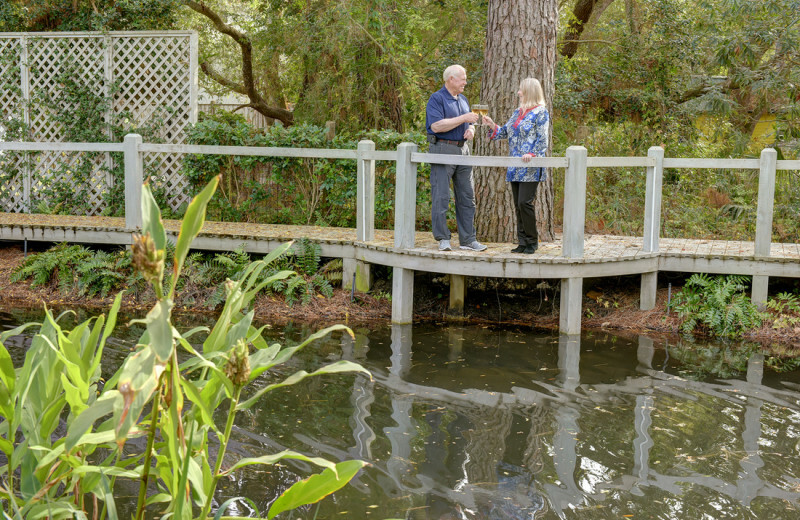 Bill and Susan Gussman’s love of nature has made a significant impact in creating a magnificent park setting complete with fish pond and water garden, boardwalk, scenic bridge, with an exquisite gazebo as the focal point. 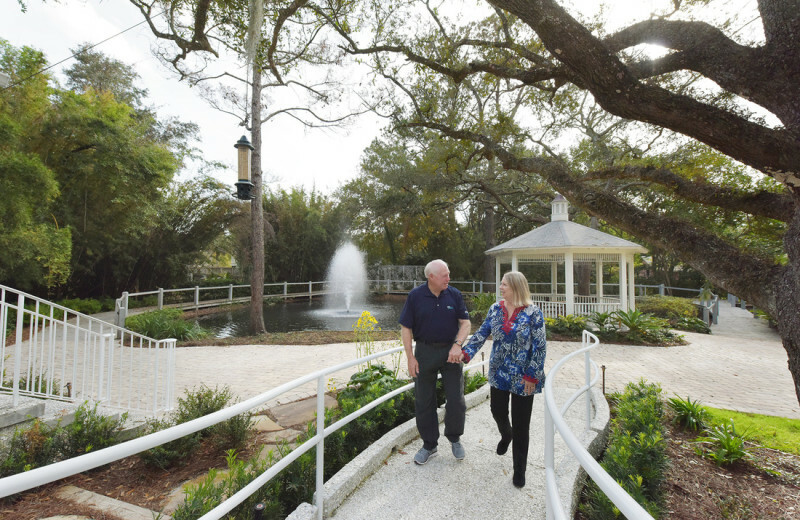 The lovely landscaping has been professionally designed to include many native plantings, enhanced by the significant mature gardens left behind by the Grays. 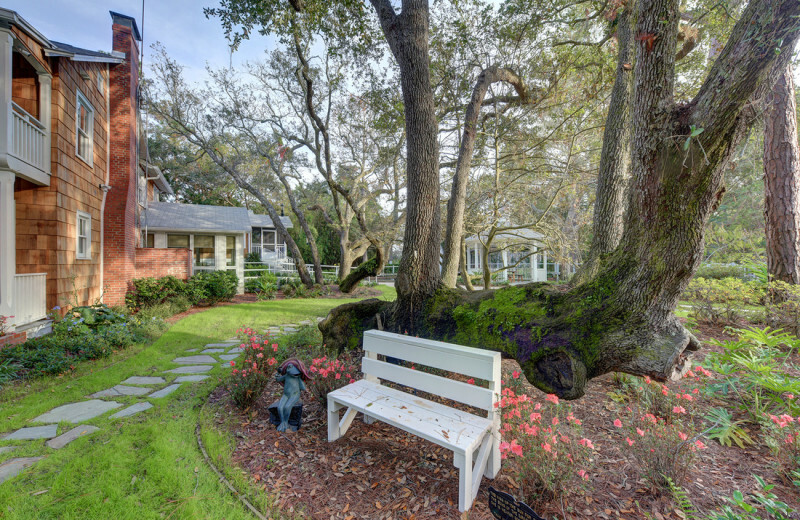 The result is an idyllic enclave for relishing nature in the heart of beautiful St. Simons Island! At The Grey Owl Inn your family will eagerly look forward to waking up in the morning, if only to enjoy the daily gourmet breakfast! 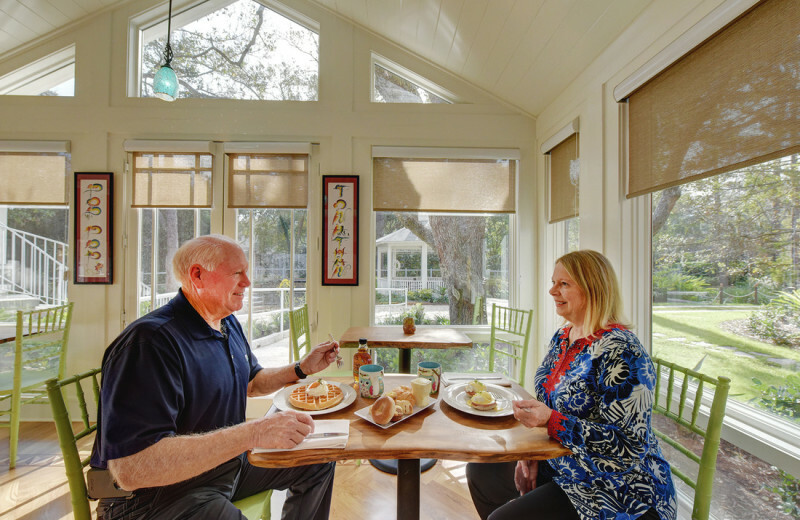 Almost a dozen different breakfast entrees are offered including delectable eggs benedict, fresh Belgian waffles, and quiche of the day, among others. A variety of cereals, fresh pastries, fruits and tangy juices and cold and hot beverages are also offered. You and your significant other will absolutely love the daily five o’clock Wine and Cheese Hour! Stop by to sample from a bounty of irresistible offerings of fresh cheeses, succulent fruits, deli meats, crackers, finger sandwiches and sweets. Top it off with your choice of select wine or cold beverage. From The Grey Owl Inn's luxury suite accommodations, the full breadth of the Inn is yours to enjoy. 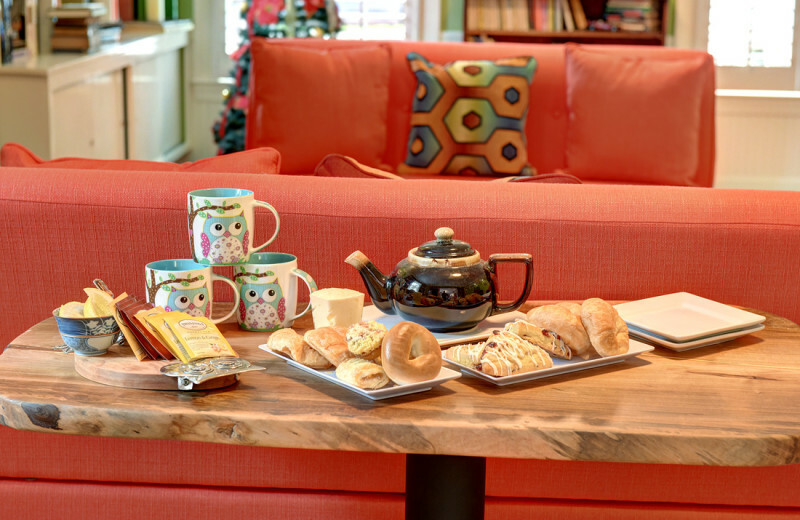 You will find many cozy corners for relaxing with a good book, engaging fellow guests in conversation, and feeling right at home. 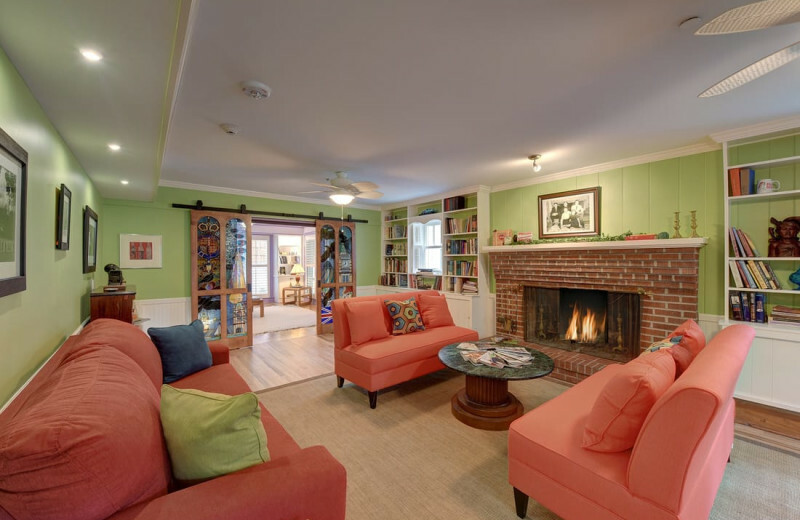 In the evening, cozy up to a fire in the living room, or play games with fellow guests in the Throne Room. 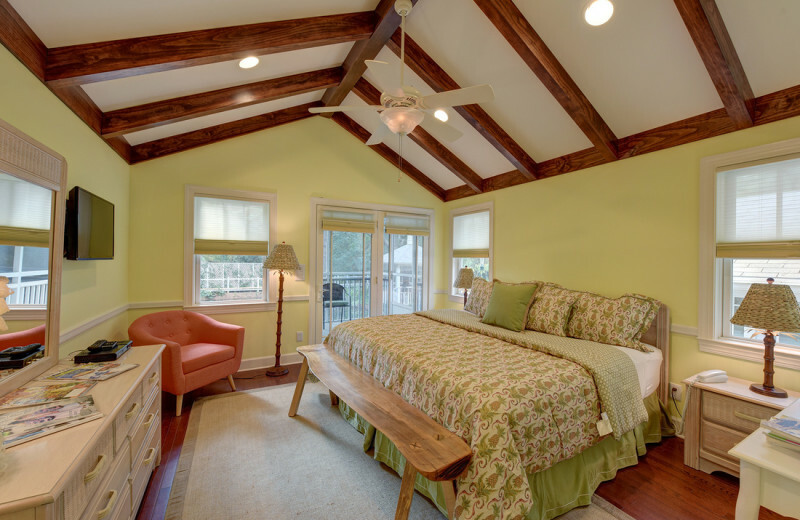 And of course your room is fit for royalty! Every day at The Grey Owl Inn offers something new to experience and savor to the fullest. 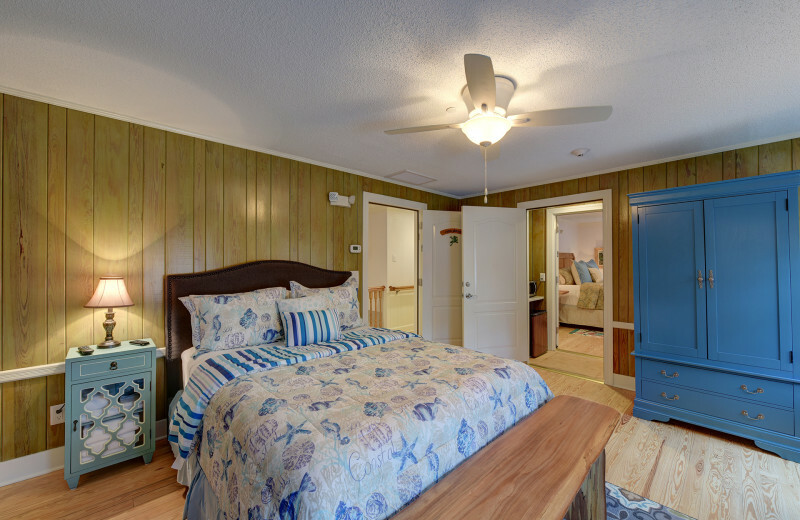 Your honeymoon will be full of incredible comfort in a Grey Owl Inn room! 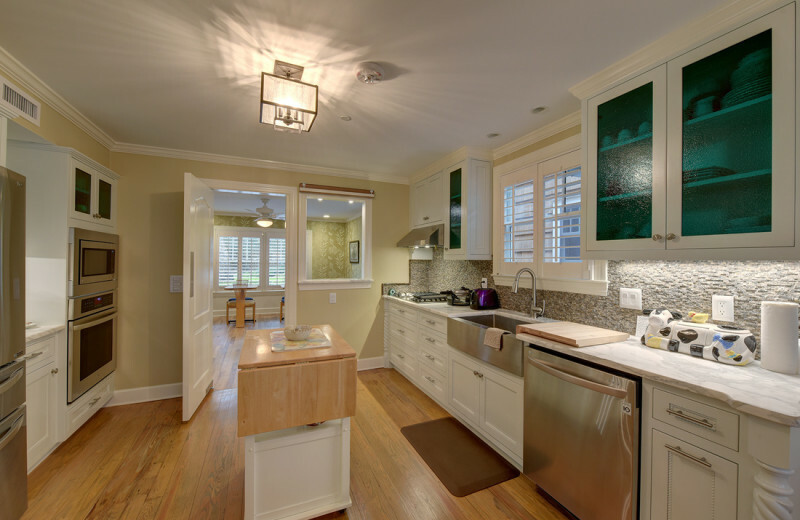 There are five splendidly appointed suites here, each with private bath and many special in-room amenities. 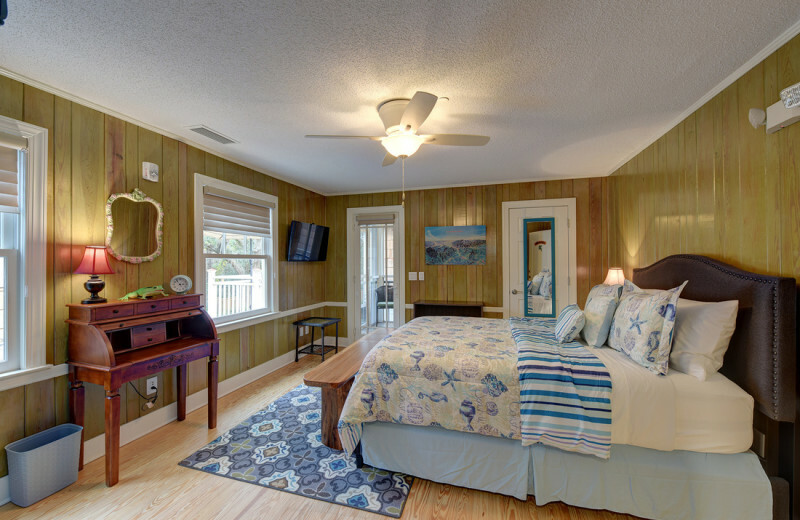 Each room offers a unique theme experience – nautical, African-inspired, Southern charm, and nature. 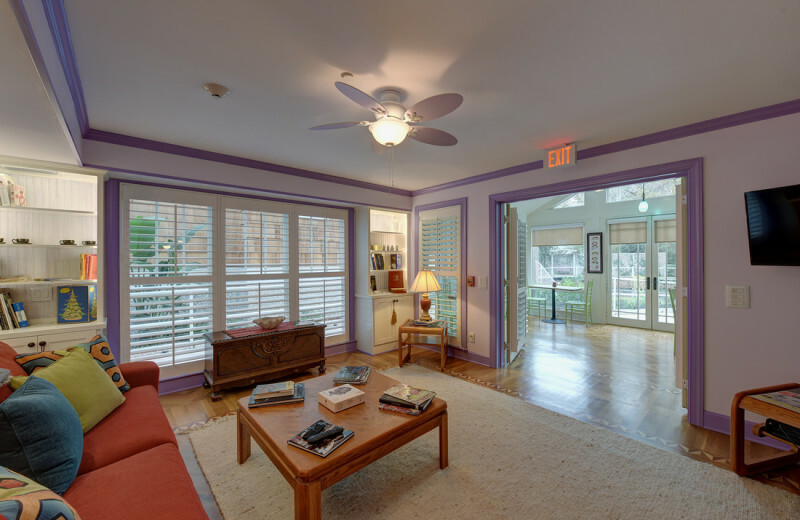 Each suite has its own unique personality and flavor- just like you and your new spouse! 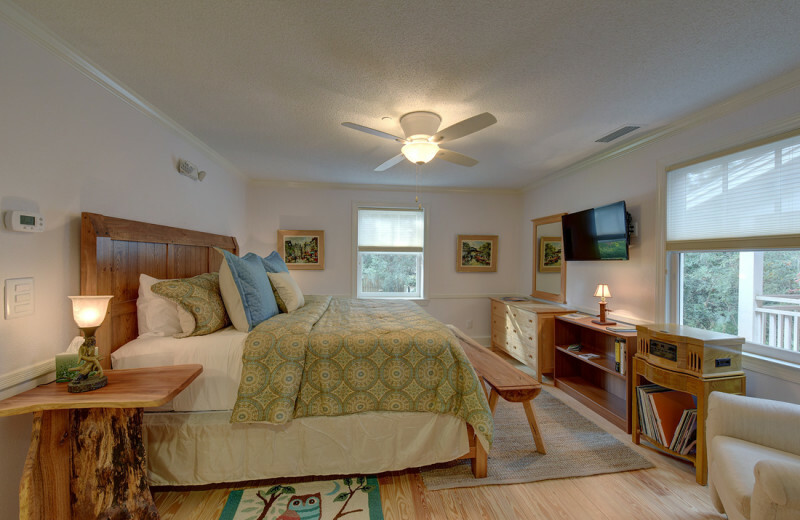 The Grey Owl Inn's mission is to provide guests with an extraordinary 'island getaway place' delivering superb suite accommodations, excellent service and cuisine, and special attention to detail. 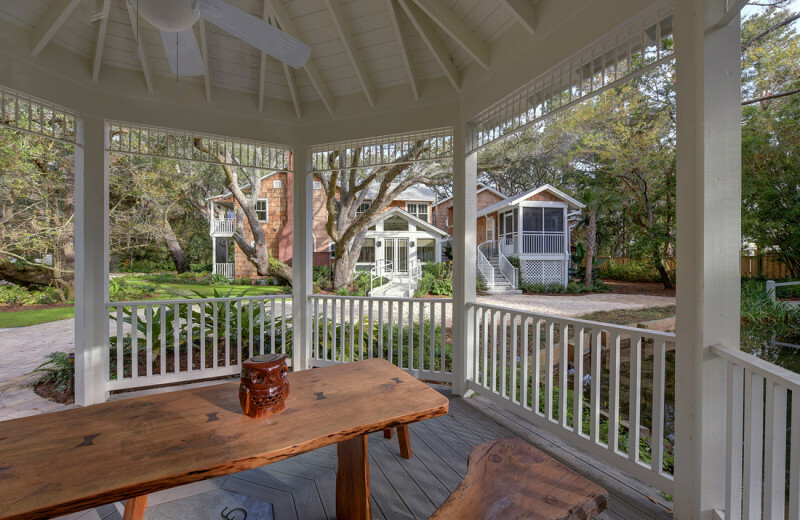 All of this combines to result in a one-of-a-kind experience on picture perfect grounds that feature an exquisite gazebo, native plantings, and enhanced by a significant mature garden that was left by the original owners of the property, the Gray family.